15. A Treacherous Assault On The Non-Negotiable Peace & Unity Of The Nigerian Nation: Fake News! Four keywords will be defined in order to provide character to the direction of this blog episode. Treacherous: A tendency to betray one’s own. Assault: A threatened or attempted physical attack by an entity which appears to be able to cause bodily harm if not stopped. Non-negotiable: A concept or items which can neither be … Continue reading 15. A Treacherous Assault On The Non-Negotiable Peace & Unity Of The Nigerian Nation: Fake News! A Farmer is a person who works the land or keeps livestock, especially on a farm. A Herder is someone who drives a herd of livestock, in the context of this blog episode, Cows and Sheep. The definition above exposes similarities with two groups who ought to be mutual business partners for reason to be … Continue reading 14. Patriots Alert III: The Nigerian Farmer, The Nigerian Herder, And Peaceful Coexistence. 'Your Vote counts, but your life matters more......'-© Nigerian Patriot 2019 The summary dictionary meaning of the word Priceless refers: ‘Having incalculable monetary, intellectual, or spiritual worth’. A human life is of incalculable intellectual and spiritual worth. Unfortunately, in our beloved country Nigeria, human lives are the fodder which is used to fuel election chaos. … Continue reading 13. Patriots Alert II: Nigerian 2019 Elections; The Priceless Value Of A Single Human Life. This blog episode is a fact sheet built on information obtained from Wikipedia. 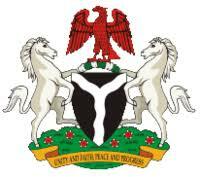 It is a tip of the great potentials of our noble nation Nigeria. The intent is to encourage a collective read of the facts contained in the article on Nigeria which can be found on Wikipedia. The name Nigeria was taken from the Niger River running … Continue reading 12. The Nearly Infinite Potentials Of The Nigerian Nation: A Tip Of The Iceberg. This is wishing every single Compatriot, a very pleasant, happy, peaceful & prosperous New Year: 2019. We pray this will be a year of real development, learning and growth for our dear country. It would surely be better than the previous year of 2018, if it is our sincere collective desire, & prayer as ordained … Continue reading 8. Double Thumbs Up 2 Our Great Country: Nigeria H’2019! 6. Nigeria Vs Corruption: A National Mortal Combat Nigerians Must Win!!! For the purpose of this episode, Corruption can be defined as a lack of integrity or honesty (especially susceptibility to bribery); or the use of a position of trust for dishonest personal or group gain. 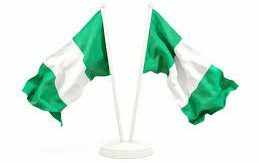 The country Nigeria has been defined in previous blog episodes with the last episode (5) adding the bio-metric detail of … Continue reading 6. Nigeria Vs Corruption: A National Mortal Combat Nigerians Must Win!! !